The stream started out on a very mysterious tone, and instantly grabbed my attention. 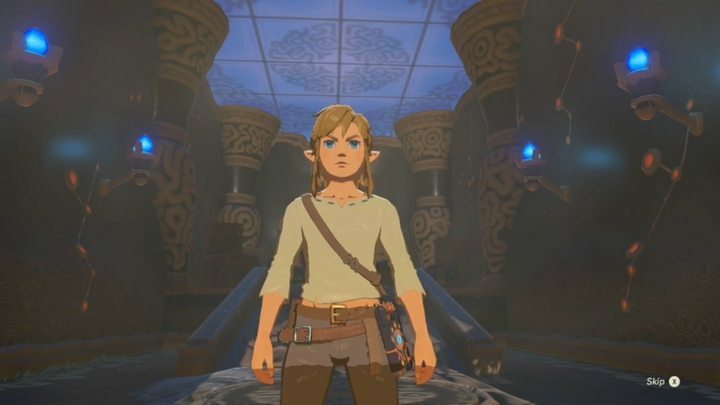 Link wakes up in a strange tomb. It looks like a cryogenic chamber of some sorts. 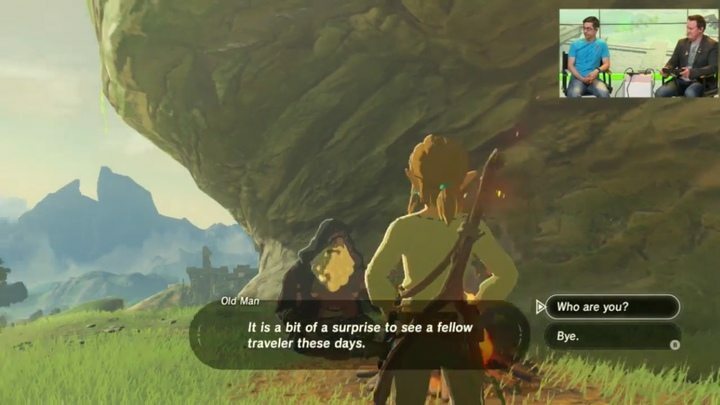 Perhaps he was frozen and wakes up in a future Hyrule? 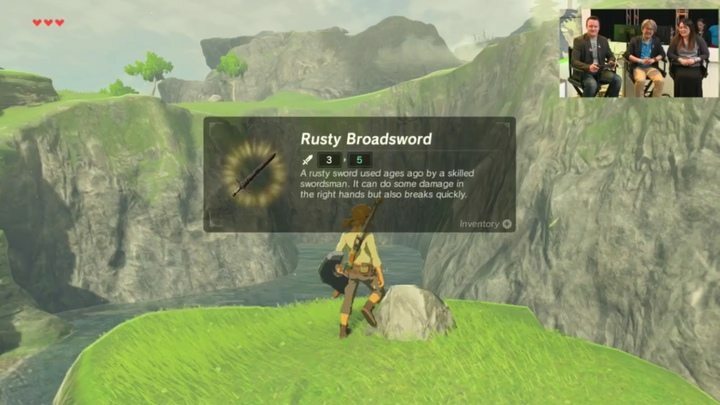 Link then proceeds to walk out and stumble upon a panoramic view of The Great Plateau. We see here that there will be dialogue choices and different ways to interact with people in game. Also, this mysterious man resembles the King of Red Lions and he might play a bigger role in the storyline of the game. 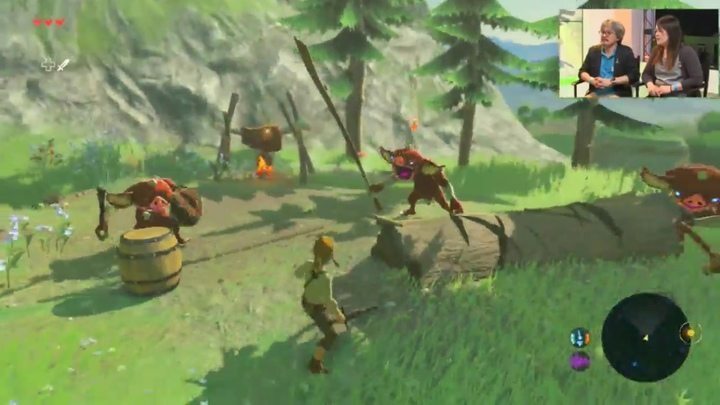 Breathe of the Wild also features some very cool combat features like many new weapons and shields that will deteriorate with use. Almost everything could be used as a weapon. You will have access to remote bombs, fire/explosive arrows, many types of swords and spears, and so much more. Also instead of running straight at enemies, you can approach with a stealth angle. There is a noise meter that you can see next to the mini map that will show you how much noise you make to avoid detection from enemies. Also shown is the availability of shrines which are essentially mini dungeons. 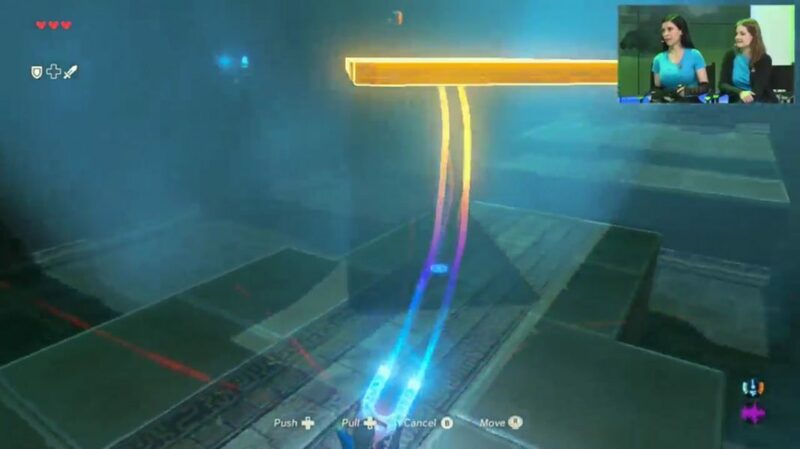 You can receive new powers and abilities for your Sheikah Slate such as the ability to control metal. 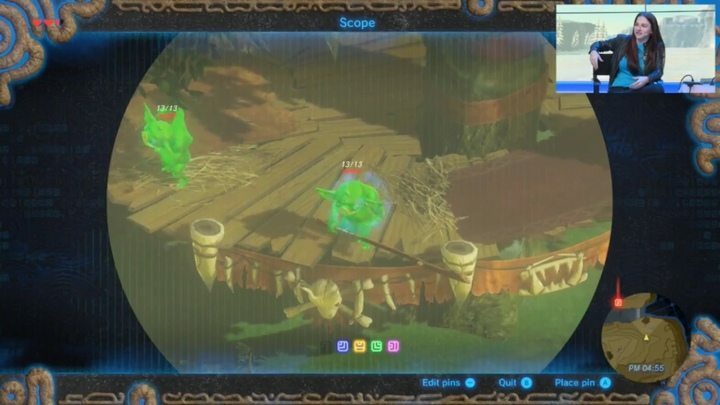 Another unique feature that you can use with your Sheikah Slate is being able to tag and assess enemies from far away before going into a fight. This could potentially save you from walking into a fight where you are not physically ready to take on high powered enemies. Here you can see the change of the biomes and the day starting to draw to a close. Nighttime is a whole new way to see the world around you and holds many opportunities in terms of gameplay and survival. We also got a sneak peak at what role the amiibo will play in this game. The Wolf Link amiibo will act as a companion to Link and will help him fight enemies, hunt animals, and sniff out special items. If you do plan on using him make sure to watch out for his health because once it runs out he will not be able to be used for 1 day real world time. Bill Trinen also introduced a whole new line of amiibo that will go with the game. These include archer Link, Link riding Epona, and a guardian amiibo that will have the ability to bend its legs. 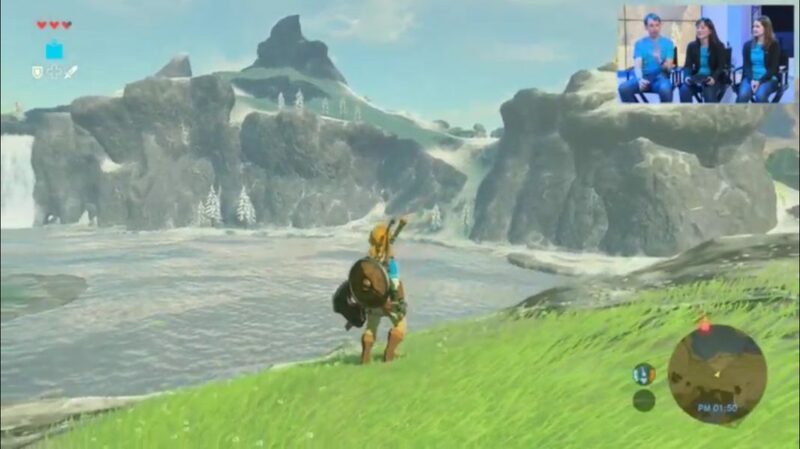 There are so many new aspects of Breath of the Wild that will be so cool to explore. The open world and seemingly endless amounts of things to do will make for hours upon hours of adventure. It was later confirmed that there will be towns but for the sake of not spoiling anything, they were not shown. 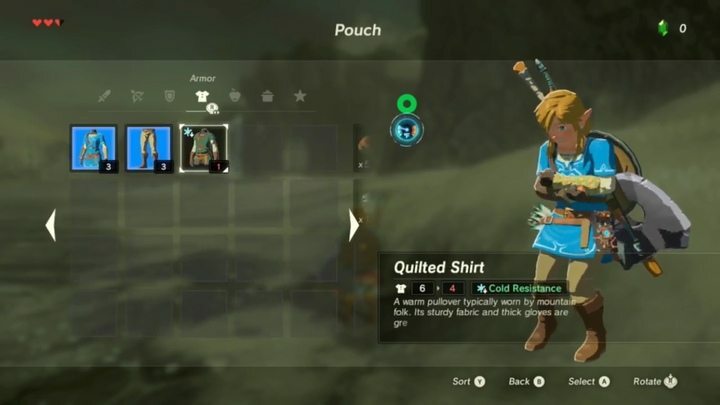 Also rupees will not be able to be found in the wild, instead you obtain them when selling something. 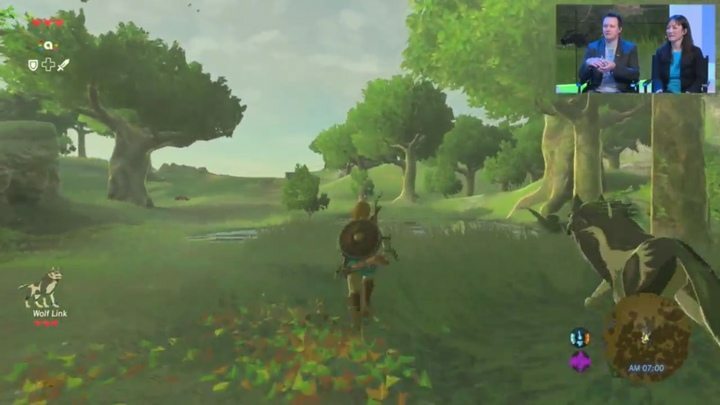 After watching this stream I can say for certain that this game will revolutionize the series and looks to be a new favorite for fans all around the world. It will be interesting to see what other features are in store for this game. 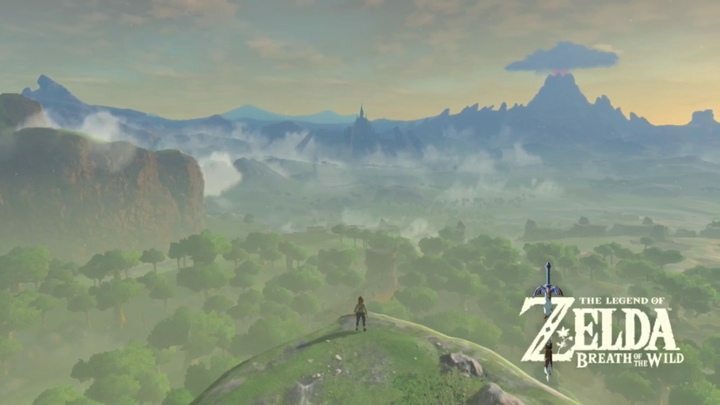 The delays were hard but they will be worth it as The Legend of Zelda makes a grand return in the new installment. We hope you are as excited as we are!